The tragic attack that took place on Thursday, Sept. 6, 2018, in the Fifth Third Bank Tower on Fountain Square in Cincinnati cost three innocent people their lives, left two others hurt and emotionally impacted many. Fifth Third Bank has provided a variety of assistance to the shooting victims and their families, regardless of whether the individuals impacted were employees or contractors. Most of these details are being kept private. We wanted to do more, however, and we know from what we’re hearing that our customers, community members and others across the country want to do more, too. That’s why we have become involved with the National Compassion Fund— an organization managed by the National Center for Victims of Crime to provide resources and compensation to victims of mass shootings or terror attacks. 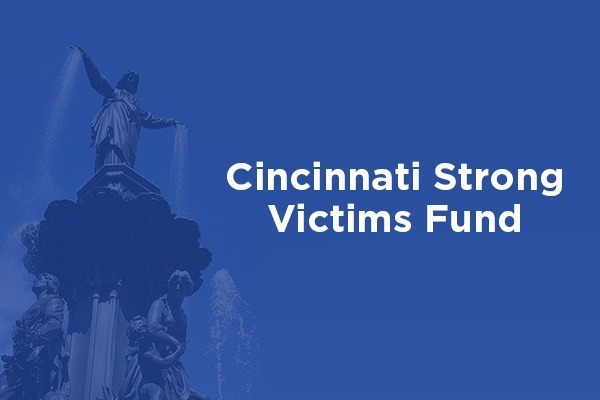 The Fifth Third Foundation has made a $1 million gift to start a separate fund -- Cincinnati Strong Victims Fund -- within the organization and we hope to raise another $1 million through donations. All of the money raised through this effort will benefit people harmed in the shooting. This includes families of persons who were shot as well as those who experienced physical injuries or psychological trauma as a result of the incident. National Compassion Fund manages the distribution of the funds and works with GoFundMe for collection of the donations. We invite you to join us in raising funds to help the victims of this terrible act. Together, we will continue to make Cincinnati a stronger place, with Fountain Square at its heart. We are and always will be CINCY STRONG!